Manhattans will never be the same...from now on, they'll make you smarter. 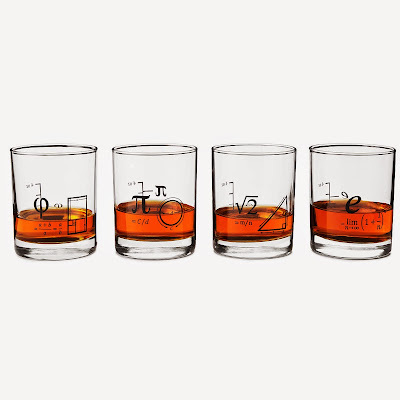 These cocktail Math Glasses feature mathematical constants and arithmetical formulas that won't let your mind dull for a minute when enjoying your favorite libation. Impress your friends with a toast to/with Pythagoras's constant, Pi, Phi,or Euler's Number.